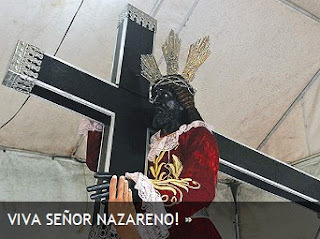 A procession will held on January 9, 2012 for the feast of the Black Nazarene. Devotees of the Black Nazarene will commemorate the Traslacion. 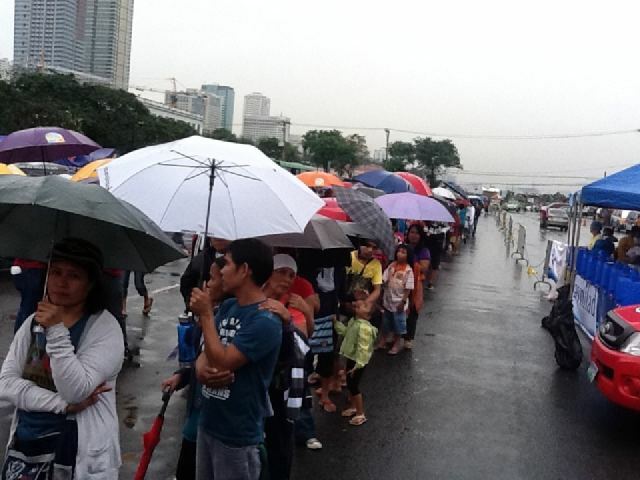 The Traslacion is the transfer of the image from Quirino grandstand to its present shrine in Quiapo. The Black Nazarene will be carried into the streets for procession in a shoulder-borne carriage known to devotees as the "andas". The procession is scheduled to start at 8 a.m. after the Mass but, because of the multitudes of those who attend, it is expected to last for 10 to 12 hours. Around eight million devotees flock in Quiapo every year and wear the color maroon and go barefoot in imitation of Jesus on his way to Mount Calvary. Traditionally, men are the only ones permitted to hold the ropes pulling the image's carriage, but in recent years female devotees also participated in the procession. These rope pullers are called traditionally as the "Namamasan" by devotees. 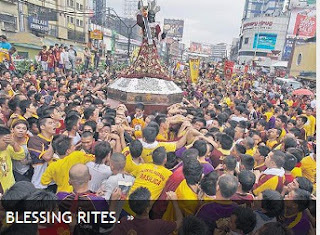 People who have touched the Black Nazarene are reported to have been cured of their diseases, and Catholics come from all over Manila to touch the image in the hopes of a miracle. Towels and handkerchiefs are wipe on the statue in their hope of a miracle they attributed to the "rubbing off". To some devotees it is their annual rites to beg for forgiveness and renewal of their subscription to God’s grace. The procession held on the feast day is notorious for the annual casualties that result from the jostling and congestion of the crowds engaged in pulling the carriage.